Also known as mustica, sardella is a kind of poor-man’s caviar. The locally produced red sauce is made with young anchovies, sardines or baby sardines (“sardelle”), powdered hot peppers, salt, and other herbs, like wild fennel seed. Another highly sought after version of the dish is rose-marina red mullet, which turns pink after being fished and tastes sweeter than anchovies. Baby anchovies are mostly fished during the months of March and April, and Sardella can be found throughout Calabria and in Sicily. Sardella can be rolled into patties or used as a pasta sauce or simply eaten fresh with a little olive oil, lemon and bread. Originally from the province of Crotone, the Ionian Alto Cosentino and the Lower Ionian, the product is laid claim to by other cities, too, like Cruculi, nicknamed the Land of Sardella. Since 1970, every other Sunday in August a feast of Sardella is held in the town’s historic center. This famous age-old citrus fruit is part of coastal Reggio Calabria’s botanical patrimony. It is put to all sorts of use, from perfumes and cosmetics to farming. The round-shaped fruit looks a lot like an orange yet has a lemon yellow color. It is part of the citrus family, but unlike other citrus fruit, bergamot is rarely eaten (though it is edible). The rind is the prized part of the fruit. It is used to extract an essential oil whose fragrance has tantalized perfume-manufacturers all over the world. The juice reduces cholesterol and is used as an antidepressant in aromatherapy. Beside being an ingredient in Earl Grey tea, for culinary purposes, bergamot is mainly used to make sweets. For example, in Calabria they stuff panettone with bergamot or pistachio cream, candied raisins and chocolate chips. The citrus also aromatizes white and dark chocolate almond Torrone. The rind can be grated to flavor sauces, pasta dishes and crumbles. It is delicious when paired with white sauces and seafood. Affectionally known as “Duja,” this famous creamy salami combines the fattiest parts of the pig—lard, fat, and pancetta—with hot Calabrese pepper and salt. The mix is then stuffed and smoked. Its weird name comes from the Latin verb “inducere,” meaning “to lead in” or “encase.” This salami has unique nutritional and therapeutic properties thanks to the hot pepper. ‘Nduja originally comes from the city of Spilinga, on the Tyrrhenian side, but it is a culinary symbol of all Calabria. 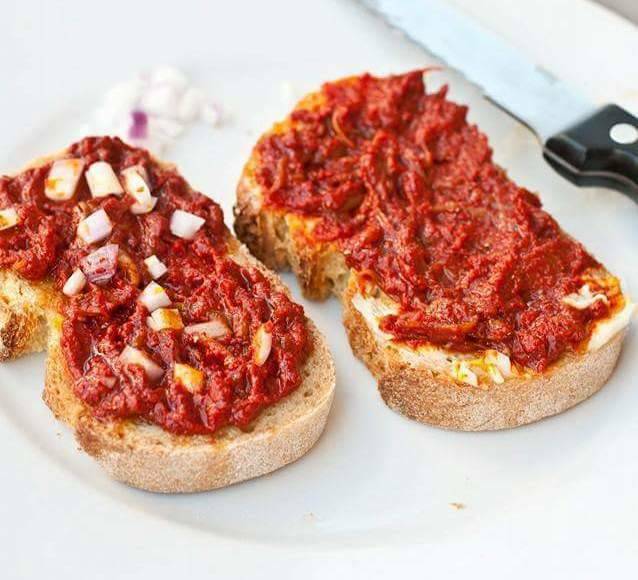 Every August 8 the feast of ‘nduja attracts millions of tourists. A variation on the Ionian Coast called ‘nduglia or pizzenti is made by stuffing the small intestine of the pig with the lungs, heart and muscular part of the animal. As with ‘nduja, hot red pepper is added to the mix. ‘Nduja and pizzenti are served in a variety of ways: spread on toast, added to ragout, or tossed into a tomato and garlic pasta sauce. They can also be found on pizzas, paired with cheese or in frittatas. The hills around Cirò Marina are entirely covered with vines and olive trees. This is the home of Cirò DOC, one of the products credited with spreading Calabria’s fame around the world and the first wine in the region to have obtained DOC status, in 1969. The wine descends from the famous Greek-origin wine Krimisa, once considered of such high quality that it became the official wine of the Olympics and was awarded to the Games’ winners. Cirò is a single varietal wine made with 95% Gaglioppo and a smattering of grapes from the Greco Bianco and Trebbiano Toscano family. Gaglioppo is distinguished for being full-bodied and intensely dark in color. 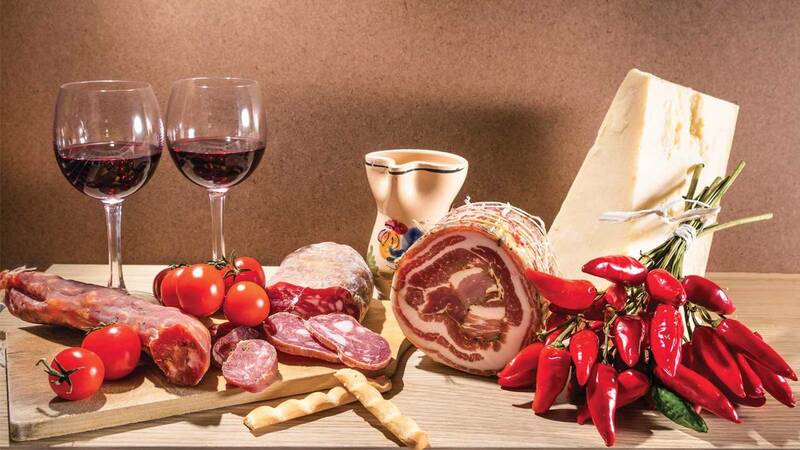 The red and rose wines go particularly well with grilled red meat, pastas with rich sauces, and salami. The white varietal makes a perfect pre-dinner drink and should be served at roughly 50 degrees. It is also excellent paired with fish, light pasta dishes and crudité. In the Aspromonte region, especially the comune of Bianco and Casignana on the Riviera dei Gelsomini, they practice an ancient viticulture tradition of sun-drying handpicked grapes on trellises before vinification to produce Greco di Bianco, a rare wine believed to be one of the oldest in Italy and nicknamed the “Nectar of the Gods.” The yellow wine has a powerful bouquet with scents of orange blossom, citrus, figs and honey, and dried grape. It has a sweet, soft, warm flavor. 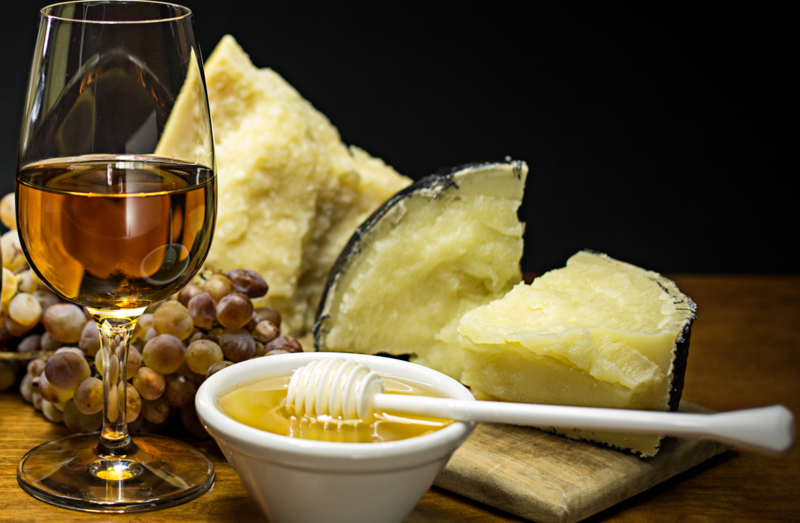 It can be considered a passito with high natural alcohol content blended with good acidity. It should be tasted 5-8 years after its vintage at a temperature of 45-50 degrees. It goes well with rich desserts and fruit pies as well as with cheese, pate, and goose liver. Greco di Bianco obtained DOC status in 1980. It is also a so-called meditative wine that can be savored in place of dessert like an ammazzacaffè. Licorice is one of the first fruits of Calabria and Southern Italy in general. The herbal plant grows wild throughout the muddy region along the Ionian Coast. It is here that the plant reaches optimal levels of glycerol, a neutral and crystalline substance that can be extracted. Since antiquity, licorice has been renowned for its beneficial properties and was particularly important in ancient Egypt, Assyria and China. It was used to make Greek and Asian medicine for treating coughs and digestive problems. 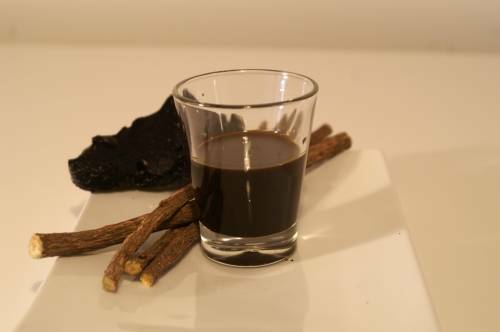 The liqueur made from licorice is, in fact, a perfect postprandial digestif. It is served cold. Pure powdered Calabrese licorice is the fundamental ingredient for this bittersweet, slightly spicy superb liqueur that, though widely sold in Italy and the world, is also very easy to make from home. There are tons of Calabrese labels, but we’ll just recommend two that produce “pure” single-variety liqueurs: Calabro Liquori, which produces an excellent licorice liqueur, among others, and Amarelli, a famous producer of high-quality liqueurs based in Rossano Calabro.